BREAKING: "The Story of Charity Fashion Show is coming to a close..."
08.23.11 CFS nominated at San Francisco Fashion Awards! Charity Fashion Show has been nominated by the Third Annual San Francisco Fashion Awards! Recognized in multiple categories, the 2011 landmark event has received nominations for Event of the Year, Marketing of the Year, and number of its own models and designers. VOTE FOR CHARITY FASHION SHOW! 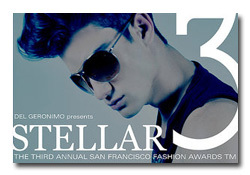 We look forward to seeing you at the San Francisco Fashion Awards this Sunday 08.28.11!